In April 2012, Facebook bought a two-year-old startup for a groundbreaking US$1 billion. It was the kind of business deal that nobody have ever heard before. Such a short amount of time, such an outrageous value. The name of the US$1 billion startup? Yes, Instagram; and today it has become the world’s most famous photo sharing app. Connecting people from all continents and even remotest places on earth. Allowing us to venture into the lands of the unknown and making friends along the way. Also thanks to the same platform is the photoshoot result you’re seeing today! 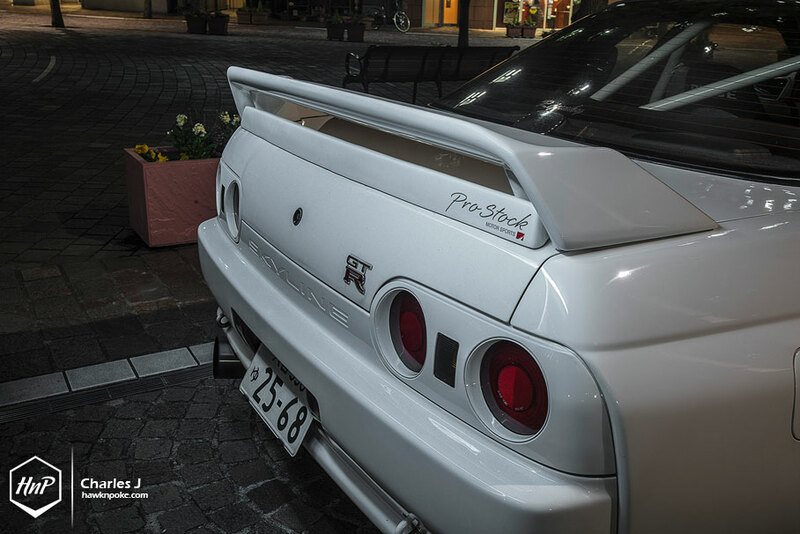 As we wandered along the Tokyo Auto Salon parking area during our Japan trip last month, we snapped a picture of this gorgeous R32 in the parking lot. Uploaded the picture to our @hawknpoke instagram and a short while later the car owner @mochimo26dett replied to our post. It was the beginning of it all, as we soon followed up on his post to arrange this night photo session. Here we are, during our 5,700KM trip all the way from Jakarta to Tokyo, constantly seeking out automotive adventures to unravel. Being the land from which all world-famous JDM rides were born, Japan has never stopped surprising us with the amazing car builds that randomly passed by. Cars that are undoubtedly rare on Jakarta’s streets (older GT-Rs, Supra, RX-7, etc) are frequent sights among Tokyo’s streets and parking areas. 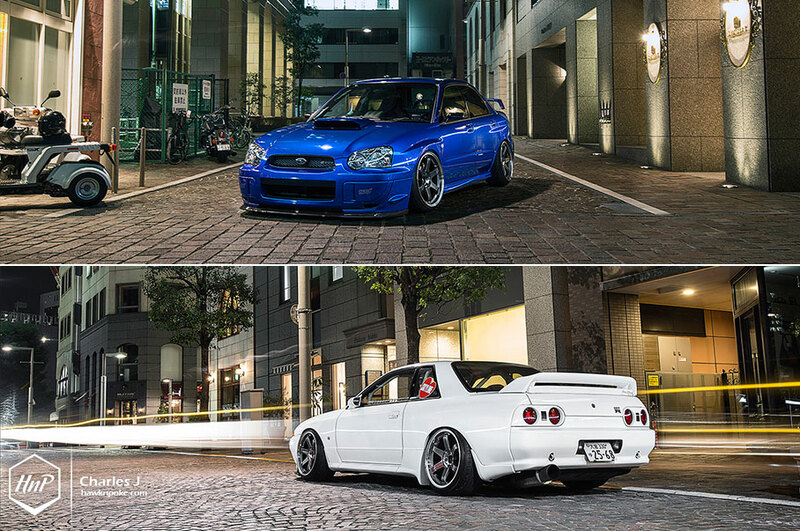 Meet Hikaru and his R32 GT-R. Simple, yet so seductive. Humble, yet uncompromisingly fast. 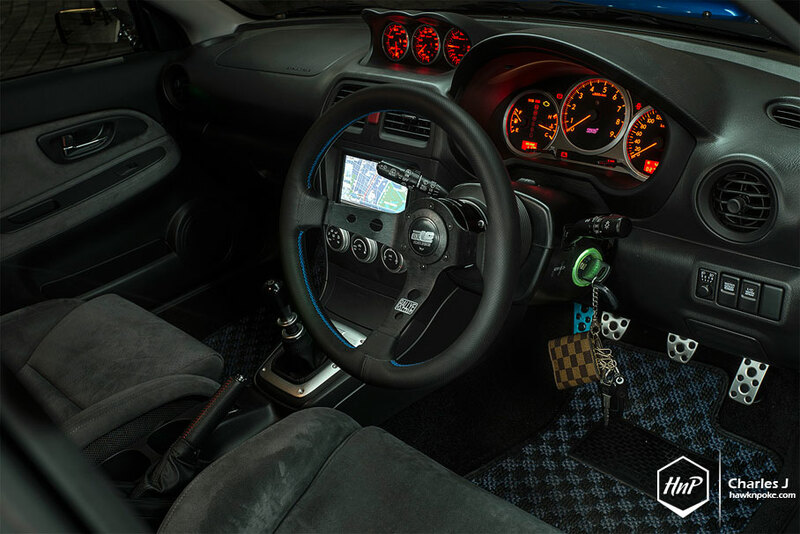 Unlike the other Japanese-style cars that seem to have flocked the internet recently (VIP? Bosozoku? Widebody? ), Hikaru’s GT-R has definitely tipped the other end of the scale. No bright coloured parts to be spotted, no outrageous camber, nothing ever looked out of place. Yet it is mesmerisingly beautiful. Most of its bodyworks have been kept intact, apart from the Nismo aeros. 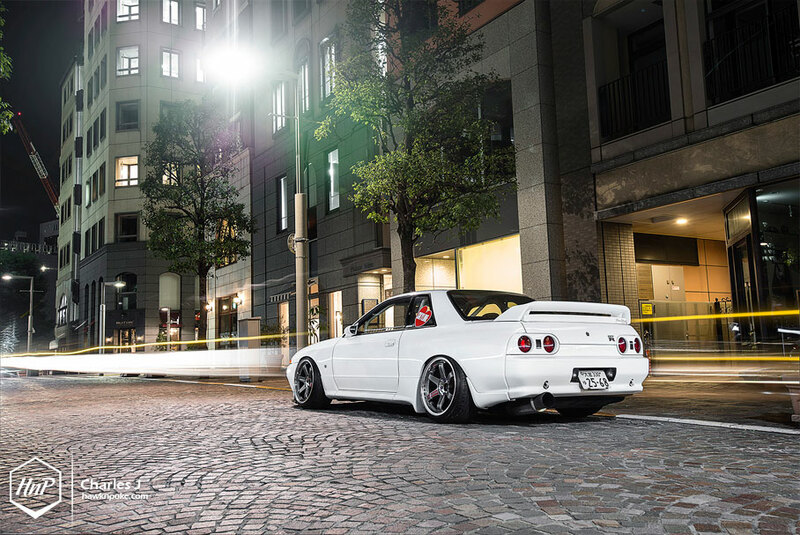 Preserving the R32’s slim bodylines, not wanting to become the muscular R33, R34 and R35. It was the last of its kind, the classic 90s look. 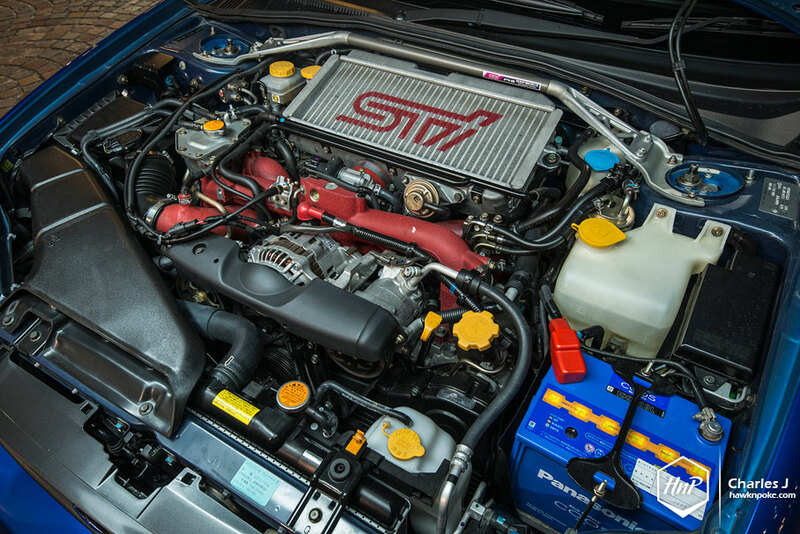 Yet inside the engine bay there lies Nissan’s first-ever twin turbocharged GT-R engine. 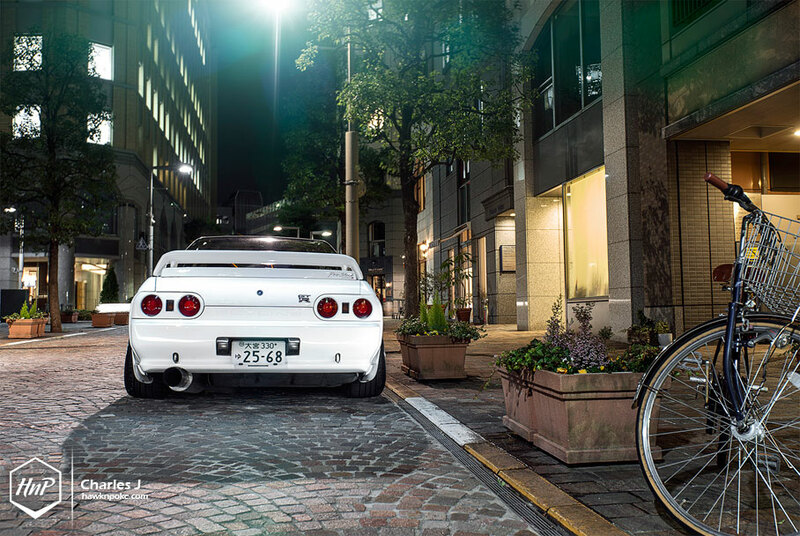 The R32 GT-R is essentially one of the most ‘sleeper’ looking GT-R the world has ever seen. 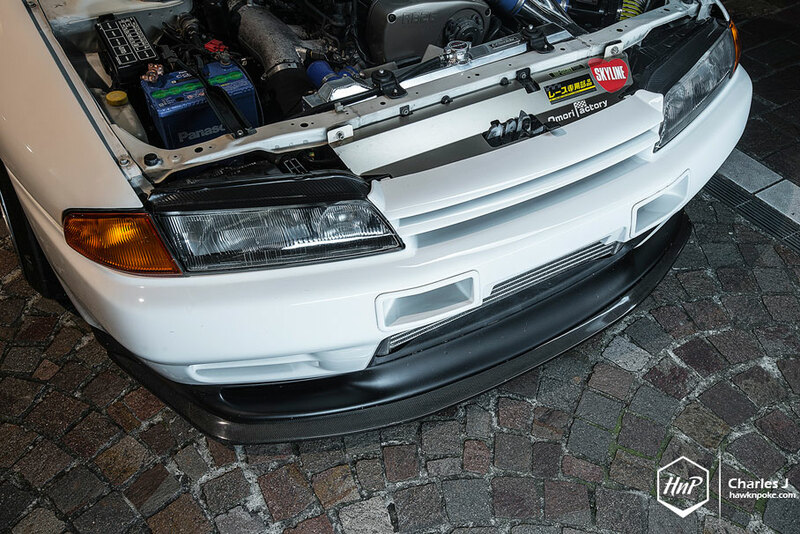 Taking over the exterior body’s subtle looks is the job of these aggressively fitted TE37SL’s. 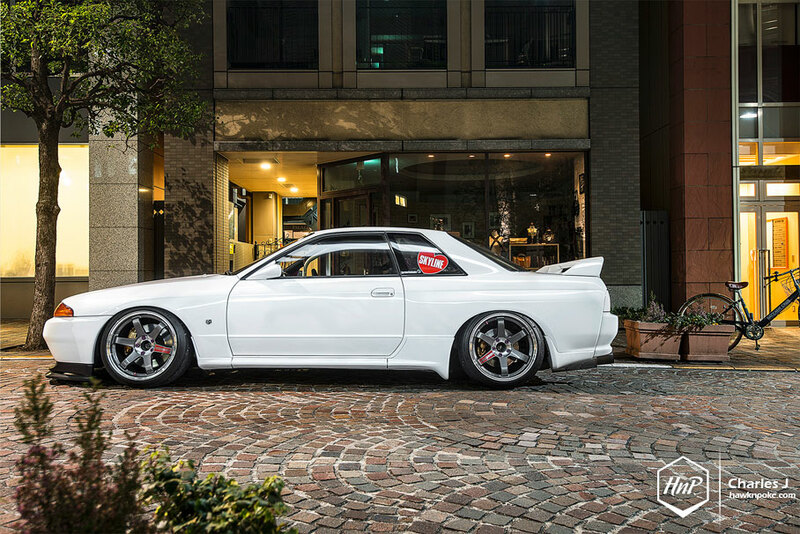 With their width being 11″ all around, Hikaru has combined the perfect tire-size and camber setting to execute such a breathtaking stance. As I chatted with Hikaru over Line chat-app before the meet, he asked whether he could bring his friend over to the same photoshoot. 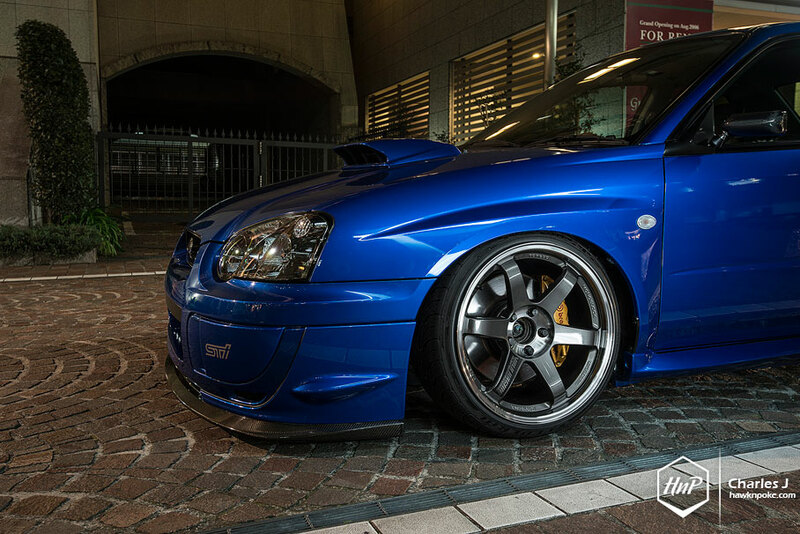 He said it’s a real clean Subaru, also aggressively lowered on a set of TE37SL. A short while later he sent the Subie’s picture and we couldn’t get even more excited about the meet. 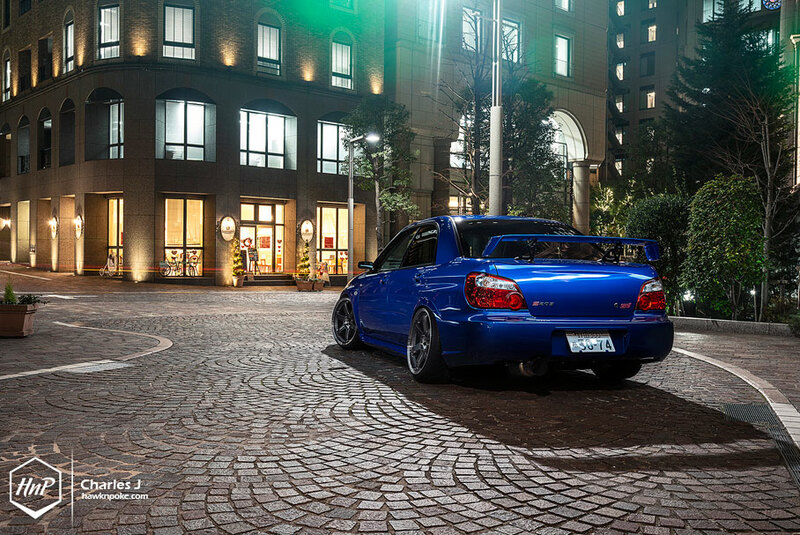 This is Kenzi and his limited-edition S203 STI. 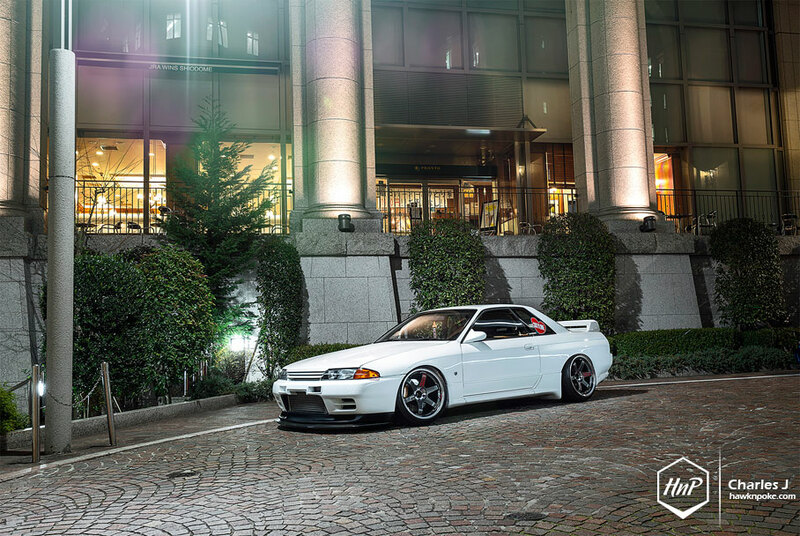 Classy JDM-style. That’s the way Kenzi (@nakamura_0823) loves to keep his cars. 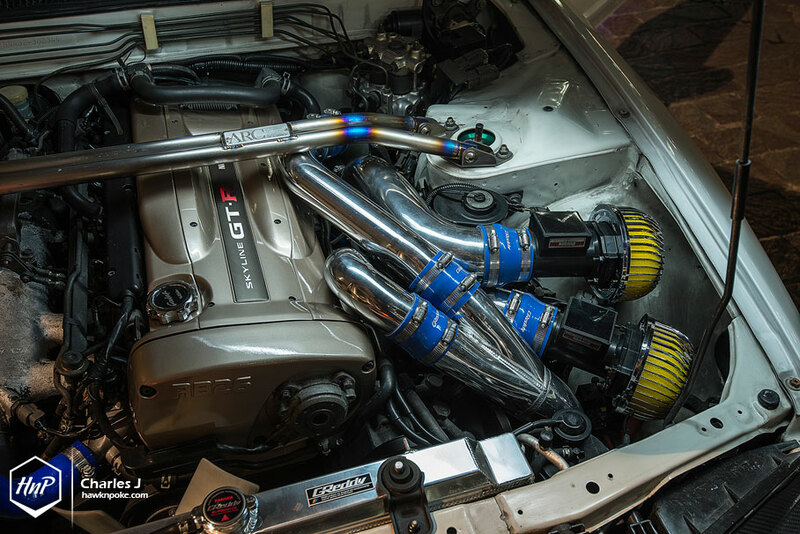 Having previously owned a Miata and a hawkeye Subaru, Kenzi moved on to this S203 build for now. 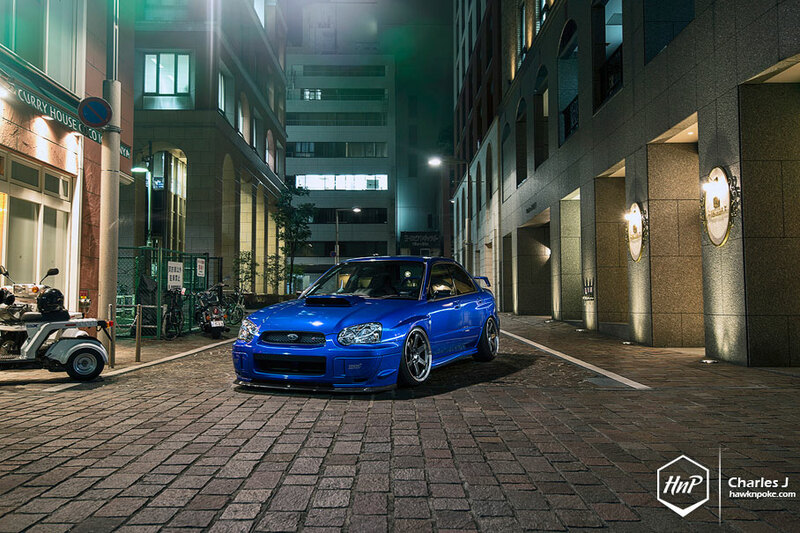 Though a little bit older than his previous Subaru, he still finds this blobeye model much more good-looking than the rest. Even compared to the newer ones. And now I could start to understand why. Staring at these captures as I write this post, I find the blobeye Subaru to be the perfect bridge between classic design and modern stylings. 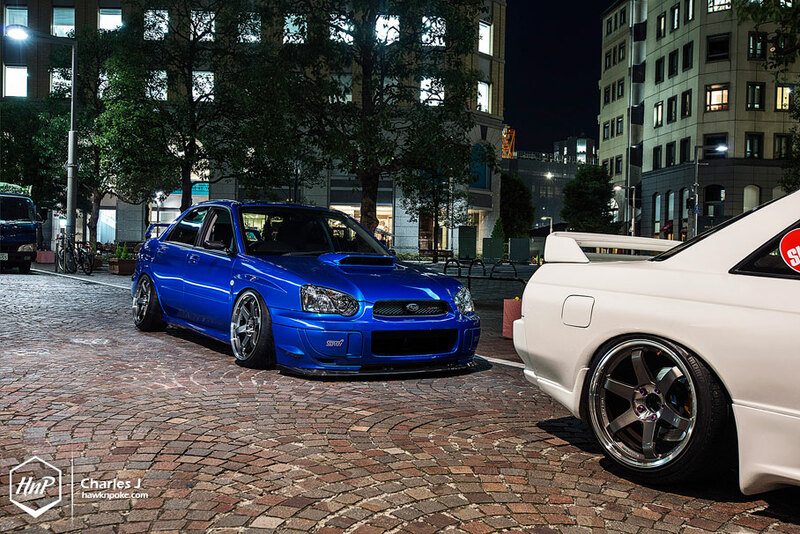 While older cars tend to have rounded headlights and newer ones have slim and aggressive ones, the blobeye Subaru has become the greatest combination of both. A reminiscence to the good-old-days, yet a reflection of modernity at the same time. Added the fact that this is the S203 limited-edition version (only 555 of which have ever been produced) Kenzi couldn’t help but to admire this blobeye’s fascinating charm. 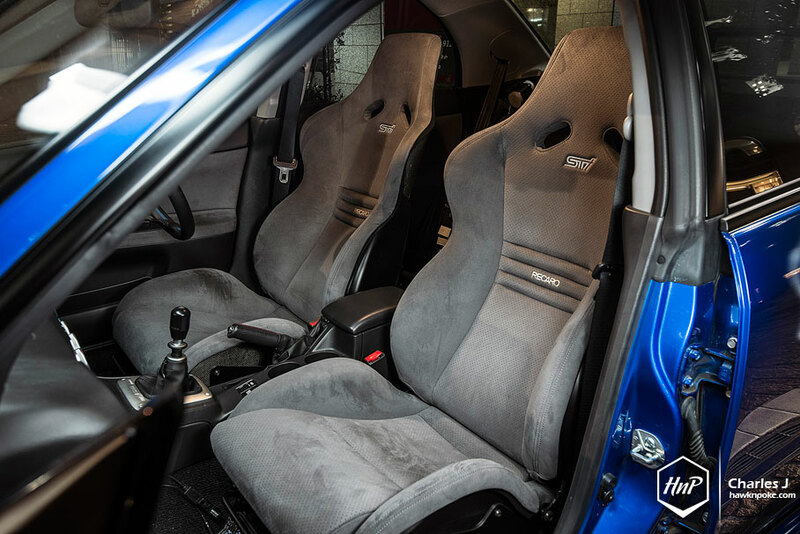 With back-hugging STI Recaro seats coming in as a standard on the S203, along with plenty of other hard-to-find STI options, this is not the Subaru to be overlooked. Thanks to Japan’s friendly streets and near-absence of speedbumps, Kenzi has set his coilover settings fairly low at this stage. 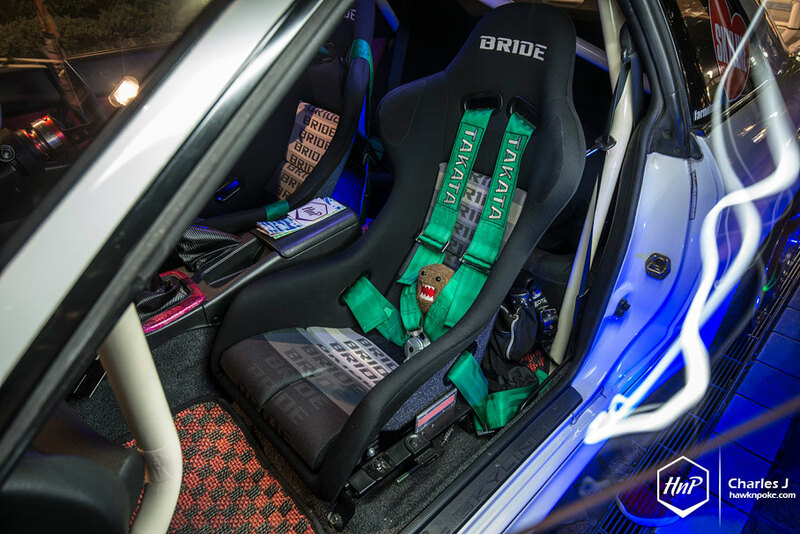 Coupled with the outstandingly mint-looking forged TE37SL, this is the kind of setup that most of us here in Jakarta can only dream of.